No documents will be issued or renewed for EU personnel to travel into Judea and Samaria or Gaza from Israel. And there will be no more work or coordination meetings between EU official or personnel and the offices of the Civil Administration and the Coordinator of Government Activities in the Territories (COGAT). Not only does this directive reflect Israeli pride and sense of independence, free of groveling for foreign favors, it puts a stop to an unfortunate practice that has gone on for too long: The EU has been underwriting Palestinian Arab construction in Area C. The goal has been to put Arab facts on the ground in an area that is supposed to be Israeli, and to push Jews out. Ironically, on Friday, the JPost ran an interview with Elmar Brok, chair of the Foreign Relations Committee in the European Parliament. "I am not quite sure that it is only an Israeli advantage to have Horizon cooperation. I think it is a European interest. It would be stupid of us if we do not continue this cooperation. Because it is very much to our advantage... the quality of Israeli research [is among the best in the world] and it would be stupid from our side to boycott that." Well, the Europeans don't exactly have a reputation for being smart, where Israel is concerned. The question is how many other EU leaders think this way, or will hear what he says. From our side, keeping this in mind is exceedingly important as well: Guys, you don't want to work with us? You are going to be the big losers. We know our value. 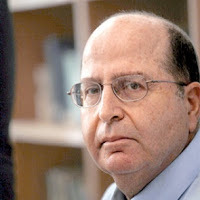 While we can celebrate the strong stand taken now by Minister Ya'alon, we don't have to look far to see an example of what happens when we try too hard to be conciliatory and appeasing. When President Obama was here, he pushed Prime Minister Netanyahu into calling Turkish Prime Minister Erdogan and offering an apology for the death of the nine "activists" -- that is, terrorists who had deliberately attacked our soldiers after provocation -- on the Mavi Marmara. A great many people at the time, myself included, were not happy about that. WE should apologize? But there were multiple assurances offered as to what good this would reap: The Muslims needed their pride assuaged, now there will be full diplomatic relations between the two countries again. Etc. etc. Well, now the JPost is citing Israeli officials who are saying that Turkey is not interesting in diplomatic reconciliation, but rather humiliation. There has been on-going negotiations for some time now regarding the amount Israel was willing to pay in compensation for the deaths and injuries -- itself galling. Assumption has been that there was no resolution because there was no meeting of the minds on the amounts. At one time outrageous sums were being demanded by Turkey. But it turns out there are other issues as well: Deputy Prime Minister Bulent Arinc, who is leading the Turkish negotiating team, has complained that Israel wants to give the compensation ex gratia [without admission of liability or legal obligation]. But, he says, "Israel should accept that it's paying the money as a result of its wrongful act. Nothing less than this will be accepted." What is more, yet another condition for Israeli-Turkish cooperation, says Arinc, is "making life conditions easier for the Palestinians," by which he means removing the naval blockade of Gaza. Nothing doing on either count. As far as admitting culpability for the deaths, one Israeli official explained, Netanyahu's apology was crafted with great care, so as to not admit any legal liability. According to one Israeli official cited in this article, there is currently no US pressure for Israel to try to reconcile with Turkey. One would hope not. But have we learned anything? If there is a theme to this posting, it has to do with Israel's ability to stand strong for herself. As I sat down to write tonight, I had determined not to second-guess what is going to happen tomorrow at the Cabinet meeting, when Netanyahu is going to bring forward for approval several items related to the prospect for going to the table for negotiations. I had felt that there were too many conflicting rumors, and it would be best to wait and see what transpired. And I had hoped that the prime minister's position would be a strong one for Israel. But Netanyahu, with an action he has just taken a short while ago, has moved one issue beyond speculation and rumor: He has released a letter to the public in which he has made it plain that he is going to ask the Cabinet to approve the release of Palestinian Arab prisoners with blood on their hands. Well, I've said it before when this issue was raised and say it here now: He may pretend he is not acceding to a pre-condition because he will not release the prisoners before negotiations start. But that is game-playing because he AGREED to the release before the negotiations start. Abbas, who is talking now about "joyful news" he expects tomorrow, is already gloating about a "victory." Many times I've read that the PA leaders place the most importance on this issue -- and Netanyahu has given it to them!! It rather makes me sick to my stomach. "It is a clear injustice when evil people are released before the end of their sentences, even if an absolute majority among them have served over 20 years in jail." He doesn't explicitly mention the fact that terrorists with blood on their hands may participate in the shedding of additional Jewish blood. But even with the reasons he does list, he admits to overriding their importance in making this decision. Why? Because he says the "peace process" is more important. And, unspoken but obviously implicit -- that there would be no negotiations without this concession. This is our prime minister NOT standing strong. And this letter that appeals to the electorate was written precisely because he knows most Israelis are against such a prisoner release. According to a poll by New Wave Research conducted last Wednesday, 85% of Israelis are opposed to release of prisoners who have committed deadly acts in order to facilitate peace negotiations. I would say that, if he has taken this public stand, he expects to win the Cabinet approval tomorrow. We will see. Many are opposed to this. It disturbs me more than a little that this same letter speaks about nine months of negotiations, during which time, "we will examine if the Palestinian element that faces us wants to truly end the conflict between us,"
Last we heard, it wasn't certain that the PA was going to show up in Washington. And that if they did, in Washington there would be talk about the talks, with the PA warning that they would not proceed unless their demands were met. So how is it that before the PA comes to Washington, and before they're agreed on all terms so that substantive peace negotiations begin, he is talking about nine months? What does he know that we don't? And what else has he agreed to? He doesn't say, "if matters can be arranged, and if negotiations begin, I believe they must last for at least nine months." He writes, "In the next nine months..."
Then, he is phony on the face of it when he speaks about examining whether the PA truly wants to end the conflict. He knows as well as anyone that they do not. Or is he on board for signing on to something? That he can even pose the question of whether they are serious with a straight face, figuratively speaking, puts the veracity of everything he brings forth in doubt. He promises that he will only reach an agreement if Israeli security and vital interests are protected. But how do we rely on that guarantee, or even know how he would define those vital interests? If he can say releasing prisoners is the right thing to do in spite of the fact that it's an injustice and hurts the entire nation, what vital interests might he pass over because reaching the end of negotiations is, for him now, "the right thing to do"? I still do not believe that there will be an "end" to negotiations that brings resolution. Because Abbas is NOT sincere and will not sign on to anything that entails compromise. But we cannot and should not simply count on this. Every step that Netanyahu takes now must and should be watched carefully. It may be time, soon, for massive political activism. The irony here is that I've been encouraged by a number of ways in which I'm seeing increased nationalist strength in the country. And so I don't see us as defeated. But I do see the need for vigilance and determination at all levels. Shall we laugh? Or cry? Khaled Abu Toameh wrote on Friday that Muhammad Dahlan, former commander of the PA's preventative service in Gaza, has now lodged complaints about Mahmoud Abbas with the UN, the EU and the International Criminal Court. He is accusing Abbas of "dictatorship, arbitrariness and corruption." Saying that Abbas is guilty of "political persecution" and "human rights violations," Dahlan charges that, "Mahmoud Abbas is exploiting the money, resources of the Palestinians and Palestinian Authority, as well as the security forces he heads, to carry out his arbitrary measures without regard for any Palestinian or international law." This is our "peace partner" we're talking about. In light of the charges, might the UN or the EU have a niggling doubt about promoting him as the one who can bring a -- peaceful, moderate, democratic -- Palestinian state to fruition? Nah. And Kerry? He received a copy of the charges as well. For that matter, does Netanyahu care what sort of state would be at our border, should -- Heaven forbid a thousand times! -- one be established? The Obama administration has now officially decided not to label Morsi's overthrow a "coup," which means that the $1.5 billion in US aid to Egypt will not be held up. One senses that Obama arrived at this decision with considerable reluctance. The announcement that four F-16 fighter jets would not be delivered as planned was a way of expressing dissatisfaction with the current situation in Egypt.